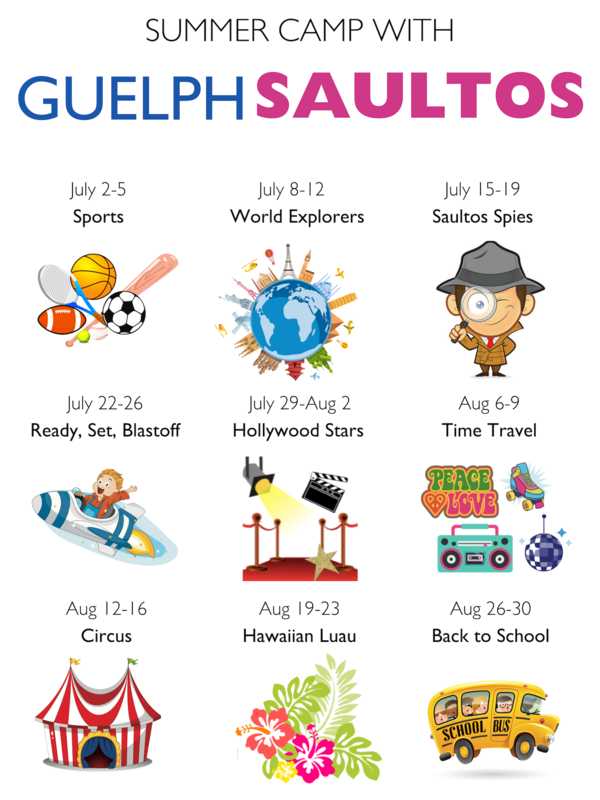 Summer Camp by Guelph Saultos for kids 4 to 11 Two age appropriate camps keep kids interested and active all day every day: KidGym Camp is suitable for 4 & 5 year olds while our GymSport Camp is geared for 6 to 11 year olds. 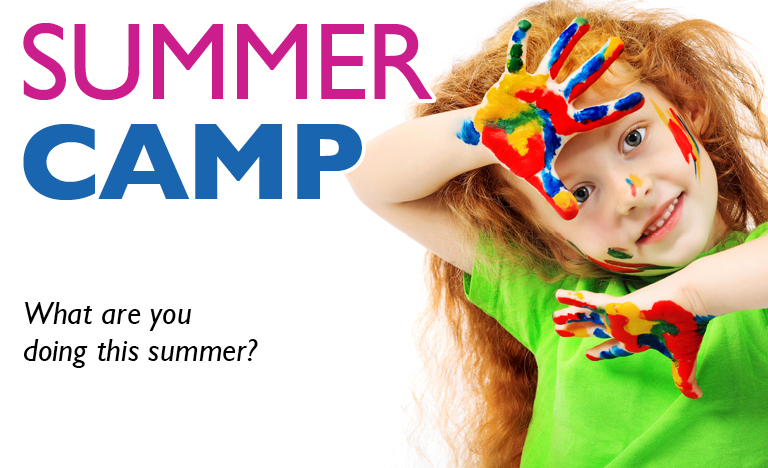 Our summer camps provide a safe and exciting camp experience promoting fitness, socialization, and the exploration of sport through GymSport activities. Have the assurance that your child is having a fun and safe day while you are busy at work. Our camps run from 9:00am thru 4:00pm weekdays all summer. To keep life simple, we provide FREE before and after camp childcare for your drop-off and pick-up convenience. Drop-off as early as 8:00am and pick-up as late as 5:00pm. Fridays we serve a slice of pizza, milk and fresh fruit for lunch. We recommend you pack healthy mid-morning and afternoon snacks daily as well as a lunch Monday thru Thursday. Priced reasonably at $225 for a full week or $54 for a Drop-in Day. Requires an Activities & Camps Membership.